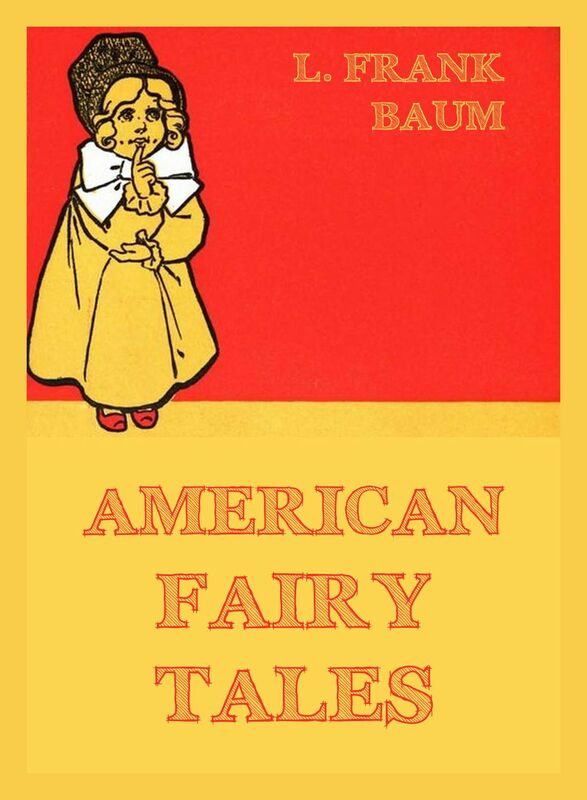 This was the first of Baum’s books for children; it is a collection of very short stories, each based upon one of the familiar rhymes of Mother Goose. In the introduction, Baum explains that many of the rhymes „are but bare suggestions, leaving the imagination to weave in the details of the story. . .1 have thought the children might like to have the stories told at greater length.. . [and] for that reason I have written this book.“ Although he tells us that he has „followed mainly the suggestions of the rhymes“, actually the tales are original inventions of the author rather than (as one might suppose from the title) merely expansions of the old nursery rhymes. Dorothy, a little farm girl, appears in the last story, and it is likely that she is the original idea for the Dorothy who later becomes the heroine of Oz. 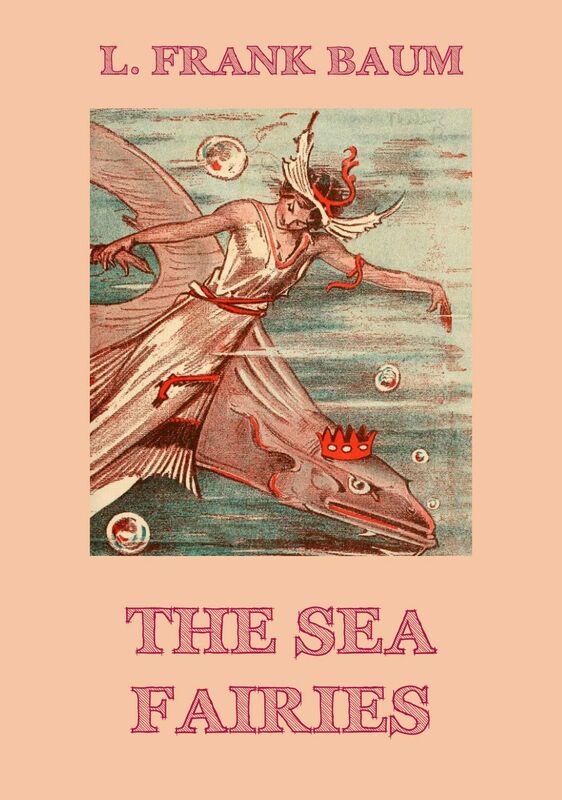 This is the story of the adventures of Ozma and Dorothy when they set out to prevent a war between the Flatheads (who, for lack of a cranium, carry their brains in a can) and the Skeezers, whose island home can be submerged by their Queen. The two girls find themselves imprisoned below the lake and must be rescued with the help of Glinda the Good. 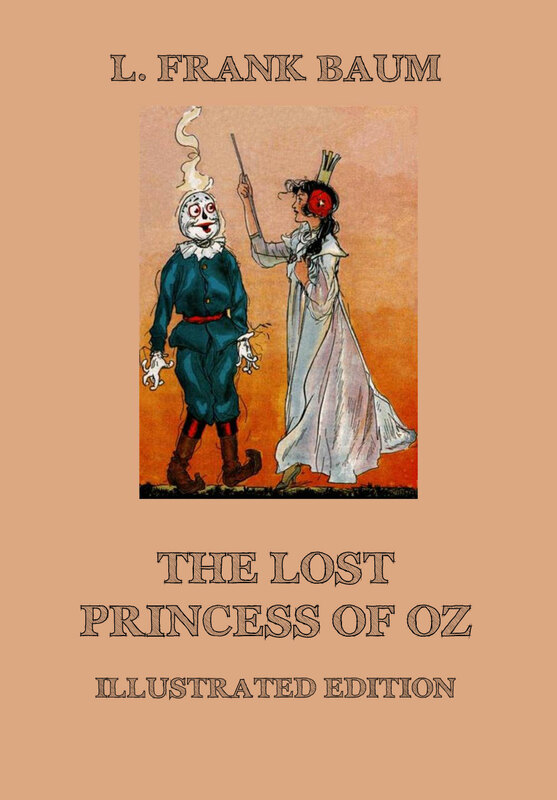 Glinda of Oz was unfinished at the time of Baum’s death in May, 1919, and it was completed by one of his sons. This is the thirteenth book in the Oz series. Trot and Cap’n Bill set out to search for a wonderful Magic Flower in a golden pot as a birthday present for Ozma. In the meantime, the Nome King attempts to raise an army of beasts to conquer the people of Oz. His fellow conspirator is a boy named Kiki. Transformations are the order of the day in this story, because Kiki knows the magic transformation word, and isn’t in the least restrained about using it. Properly enunciated the word PYRZQXGL can bring about any desired transformation—and a good deal of mischief. But all ends well when Ozma uses her Fountain of Oblivion to make her two enemies forget their wickedness. 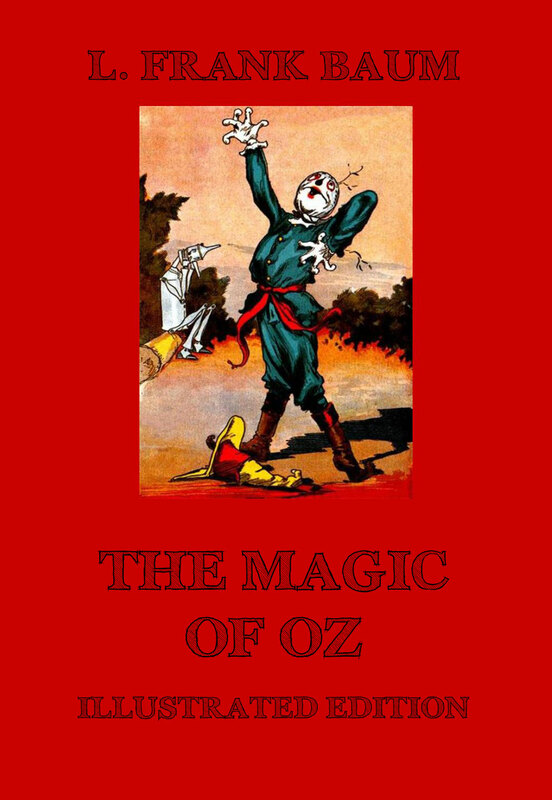 This is the twelfth book of the Oz series. Many years ago, before he had become a tin man, Nick Chopper was engaged to a lovely Munchkin girl named Nimmie Amee. He no longer loves her because when his limbs were replaced with tin, his body had no heart, and even the red silk one given to him by the Wizard did not succeed in reviving this love. But now the Woodman decides to find the girl, marry her and bring her home as Empress of the Winkies. He sets out with his friend the Scarecrow and Woot the Wanderer. 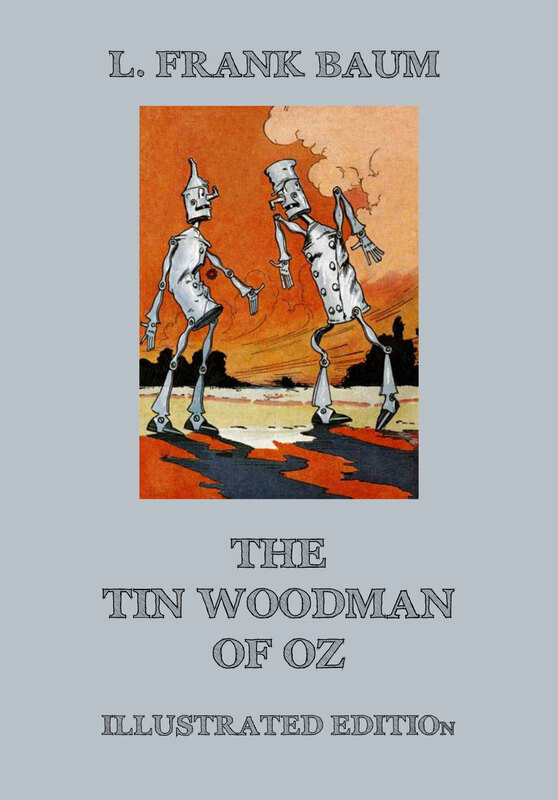 On the way they meet another tin man, also a product of the skilled tinsmith who made our Tin Woodman. The two metal men soon discover that they are both engaged to the same girl, who fell in love with the tin soldier after Nick had left her …. This is the eleventh book of the Oz series. In this story, Ozma is kidnapped by Ugu the Shoemaker, who has made a serious study of magic and who hopes to become master of all of Oz. Not only is Ozma stolen, but several objects having great magical power also disappear: Ozma’s Magic Picture; the Great Book of Records from Glinda, the powerful sorceress of Oz; and the Cookie Cook’s diamond-studded gold dish pan—all of these are gone. Immediately several rescue parties set out from the Emerald City to find Ozma, each searching in a different section of Oz. It is the group headed by Dorothy and the Wizard—with the help of the Patchwork Girl and her remarkable brains—that finally releases Ozma from captivity and returns the stolen objects to their owners. This is the tenth book of the Oz series. 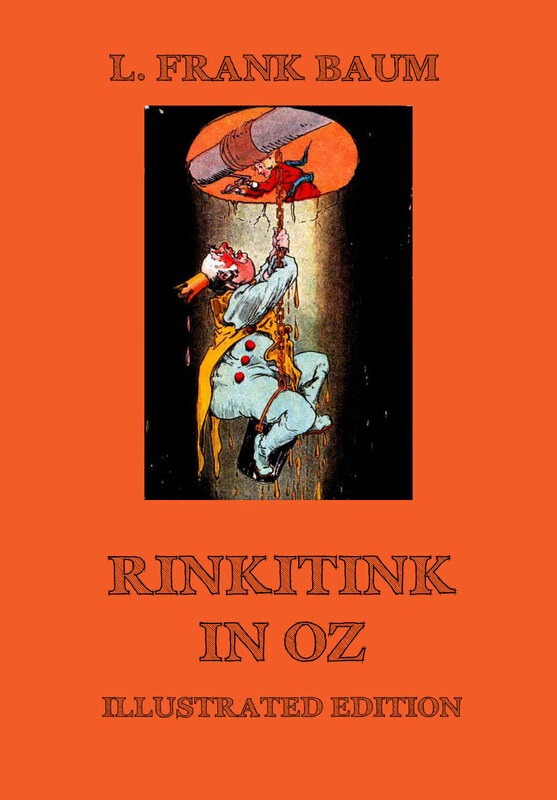 Most of the story takes place outside the land of Oz in the Kingdom of Rinkitink, where King Rinkitink helps Prince Inga to release his parents from imprisonment by the Nome King. 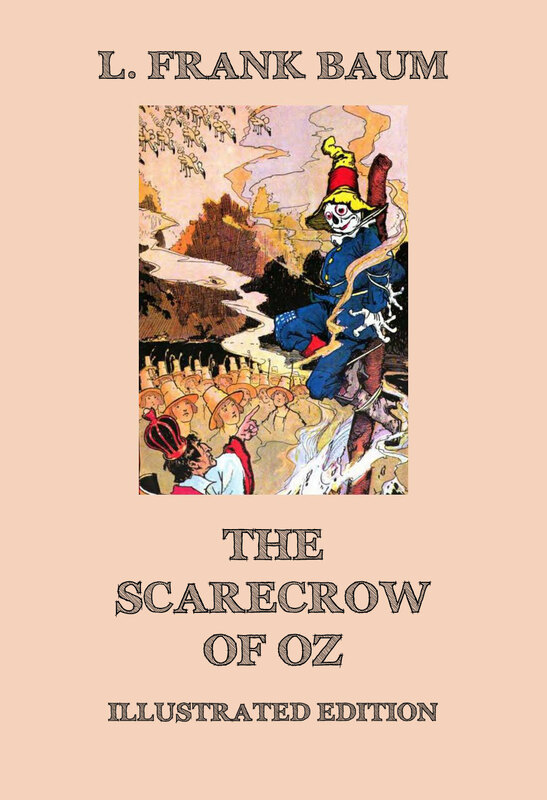 It is only in the last few chapters that any of our friends from Oz enter the story, when Dorothy, after reading about Inga’s adventures in Glinda’s Great Book of Records, „wherein is inscribed all important events that happen in every part of the world“, and watching him and his friends in Ozma’s Magic Picture, decides that she and the Wizard should go and „help them out of their troubles.“ They do, and all ends with a splendid banquet for every one concerned in Ozma’s palace. This is the ninth book of the Oz series. Cap’n Bill and Trot, who have already appeared in “The Sea Fairies” and “Sky Island”, now find their way to the enchanted lands in the neighborhood of Oz. They are involved in several dangerous adventures, but with the help of the Scarecrow and the Ork, a strange bird without feathers and with a propeller for a tail, they conquer the King of Jinxland and put the lovely princess Gloria on the throne. Finally they join Ozma and Dorothy in the Emerald City, which seems to be getting rather crowded with earth people because of Ozma’s generosity. This is the eighth book of the Oz series. Queen Ann of Oogaboo, a minute kingdom at the northeastern tip of Oz, sets out to conquer the world with her army of sixteen officers and one private. Although she does not succeed in this ambitious endeavor, she and her army do help the Shaggy Man to rescue his long-lost brother from the Nome King, by whom he has been imprisoned. 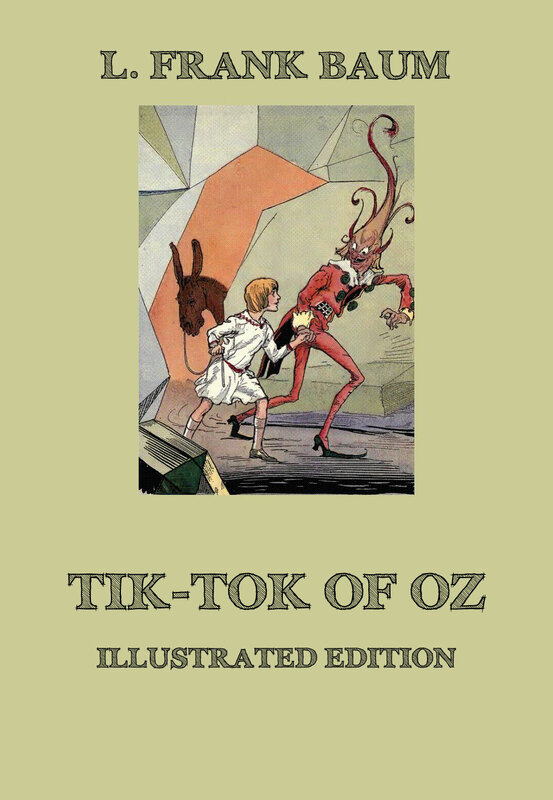 The Shaggy Man and his comrades from the Emerald City find themselves in all kinds of difficulties, and so Ozma sends Tik-Tok to help them. 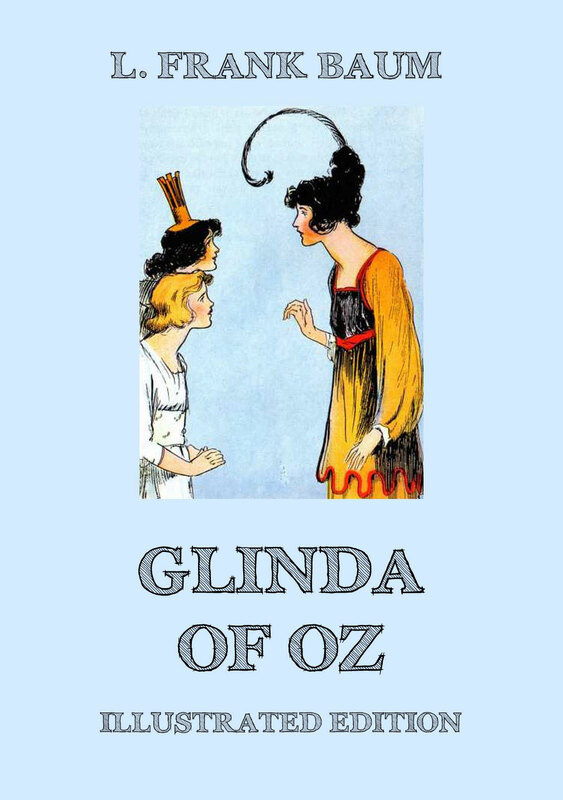 We are introduced to a newcomer to Oz, Betsy Bobbin, a little girl from Oklahoma who arrives in these enchanted parts after being shipwrecked, and who remains in the Emerald City as Dorothy’s playmate.